Some of the most innovative dental techniques of the past several years have occurred in the field of restorative dentistry, particularly with dental implants. Traditionally, patients with missing teeth have been treated with removable dentures and dental bridges. While these treatments have advantages, the fact is they require daily maintenance and are sometimes unreliable both functionally and aesthetically. Dental implants can resolve these issues and restore a more normal way of life for patients with missing teeth. They can also serve to maintain healthier bone structure than one may experience with dentures or a dental bridge, and they do not affect the health or appearance of adjacent teeth. Affixed to the jawbone to become a permanent part of your mouth, dental implants are designed to look and feel like your natural teeth. In fact, a dental implant makes it difficult, if not impossible, to notice that your tooth replacement isn’t an actual tooth. 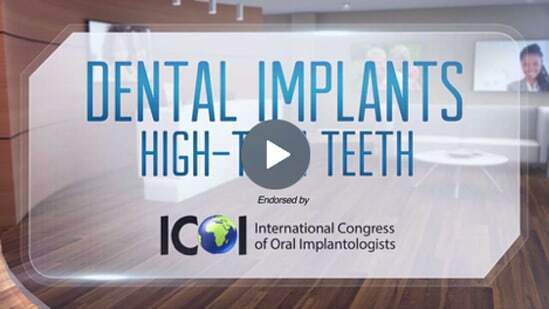 Dr. John D. Beckwith has completed extensive post-graduate education, research, and clinical experience in the field of implant dentistry, which has earned him the title of Fellow of the International Congress of Oral Implantologists (ICOI). Dr. Beckwith is also a Diplomate of the American Board of Oral Implantology/Implant Dentistry (ABOI/ID), which requires its candidates to complete six years of implant dentistry, present cases for review, and pass a series of examinations. These advanced positions indicate he has the highest level of competency in performing implant dentistry–an area that has become a major focus of Cornerstone Dental. At our practice, patients have the option of completing the entire dental implant procedure, from the first stage to the last, comfortably and conveniently in our office. Having an implant dentist with an extensive background in cosmetic dentistry place and restore your dental implants can provide you with significant benefits. Dr. Beckwith can offer you the professional treatment you expect and deserve from an experienced and skilled dental team. We offer the highest level of expertise and care for all of our patients. At Cornerstone Dental, it is not a “one-size-fits-all” approach – we provide customized treatment plans for each patient and an evaluation process that gives you a number of different options. It is this comprehensive, patient-centric approach that we believe can result in successful outcomes that will be most beneficial to your goals. What are Single Tooth Dental Implants? Dr. John D. Beckwith places strong emphasis on advanced dental implant procedures and implant restoration treatments at Cornerstone Dental. His certification with the ABOI/ID is indicative of his dedication and commitment to helping patients achieve high-quality options to replace missing teeth with results that look and feel natural. Dr. Beckwith has achieved a higher level of post-graduate education than many other dentists who offer dental implants and implant restorations, and this sets him well apart from the rest. He can also perform the entire dental implant procedure right here at Cornerstone Dental, eliminating the extra time, inconvenience, and risk of attaining inconsistent treatment results. For patients who have had implant placement by an oral surgeon, Dr. Beckwith is often referred to by those professionals for customized restorations and cosmetic dental crowns as the final touch. His reputation as a consummate cosmetic dentist in addition to his expertise in implant dentistry is one reason many other dental professionals refer their patients to Dr. Beckwith. In addition to Dr. Beckwith’s impeccable credentials and record of success, he makes it a point to embrace the latest technology to assist him in giving patients the best possible results. Dr. Beckwith utilizes the state-of-the-art ScanX Digital Panoramic X-Ray System for evaluating patients who are considering dental implant procedures. This advanced imaging system presents a clear view of the entire upper and lower teeth and jaw while significantly reducing exposure to radiation. Our team also utilizes CBCT (or CAT scan) technology for the most accurate diagnosis and to allow for immediate planning. This also enables us to perform computer-guided surgery with optimal precision while providing a shorter recovery time. If you are not determined to be a good candidate for dental implants, Dr. Beckwith can recommend a number of treatment alternatives that can help you effectively replace missing teeth. In fact, patients who are not candidates for full dental implant procedures may qualify for treatment with mini-dental implants. Dr. Beckwith will explain all of your options at your initial consultation. The first stage of dental implant placement is the placement of the implant itself. Dr. Beckwith will perform oral surgery to place a strong titanium rod into the area of the missing tooth. The rod will then work to fuse itself to the jawbone, ultimately becoming a permanent part of your mouth. This fusion process, called osseointegration, typically takes about three to six months. During that time, you can have a temporary crown placed onto the implant. 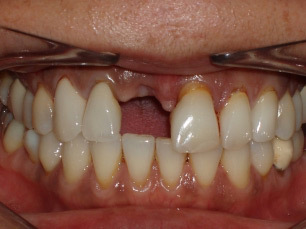 Some patients may need a dental graft to provide support for the implant. This extra step occurs before placement of the titanium rod to ensure a more viable foundation for the implant. In some cases, once the osseointegration process has successfully occurred, Dr. Beckwith will need to attach a small post to the implant. The gum tissue surrounding the implant is then given time to heal in preparation for the dental crown – the final step in the dental implant procedure. Finally, a custom-made dental crown is affixed to the post. The crown is made specifically for you, so it will provide the most natural fit and appearance. 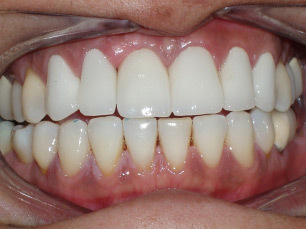 Once this is complete, you should have a permanent replacement for your missing tooth with results that improve both form and function of your teeth. If you have had a previous tooth replacement treatment with dentures and have since lost one or more dentures from the original set, Dr. Beckwith may be able to replace them with dental implants. In some cases, Dr. Beckwith can also use mini-dental implants, as explained below, to provide added support for existing dentures and keep them from excessive movement and slippage along the gumline. Mini-dental implants are approved by the U.S. Food and Drug Administration and can serve as an effective alternative for patients who are having trouble adjusting to dentures or those who are not candidates for full dental implants. This less invasive implant dentistry technique can help to give dentures more stability and security without the danger of gliding across the surface of the gums. The mini-dental implant procedure typically involves only one stage of treatment, as opposed to the three-stage process with full dental implants. A small titanium rod will be placed into the gum in the area of the missing tooth. This rod is designed to provide the same structural support as a natural tooth root. A denture will be affixed to the top of the rod, and the procedure is then complete. Mini-dental implants can give you stable and secure dentures with long-term results. Plus, they can reduce common problems many people have with traditional dentures, such as trapped food particles. Although not permanent, mini-dental implants can be very long-lasting and can provide you with natural-looking results and improved function of your teeth. Every step of the dental implant process is completed in-house at Cornerstone Dental—from the diagnosis and planning to the implant and restoration placement. Having undergone extensive training and demonstrated advanced skill in the complex procedure, Dr. Beckwith has achieved the elite statuses of Diplomate of the American Board of Oral Implantology and Fellow of the International Congress of Oral Implantology. Combining his expertise with state-of-the-art diagnostic and computer-guided technologies allows him to plan and perform the implant procedure with incredible precision. By having all stages of the dental implant procedure completed in one location, patients can benefit from a more efficient process with fewer office visits and an expedited recovery. In addition, Dr. Beckwith can ensure your comfort and safety at every visit while producing the most predictable results possible.